For books about September 11, 2001 and the World Trade Center Bombing, go to World Trade Center Books Page. By Maira Kalman In relating the heroic role of the John J. Harvey on September 11, Kalman (Next Stop Grand Central) intelligently conveys those unfathomable events in a way that a picture book audience can comprehend. She begins with the year 1931, which saw some of New York City's finest hours: "Amazing things were happening big and small./ The Empire State Building went up up up." She continues with the completion of the George Washington Bridge, then zeroes in on the launching of the John J. Harvey, "the largest, fastest and shiniest fireboat of them all." Spot illustrations show its equipment and introduce the crew (including "a dog named Smokey, who did not put out the fires but had many nice spots"), while views of the New York harbor stretch across a spread. She then fast-forwards to 1995: "New York was changing. The Twin Towers were now the tallest buildings in New York City." But the piers are also closing, so the fireboat rests in retirement. One night, a group of friends decide over dinner to restore the John J. Harvey to its original glory. Next, the volume takes an abrupt turn. White type on a black page announces: "But then on September 11, 2001 something so huge and horrible happened that the whole world shook." A sequence of spreads shows the towers literally exploding in dark, angry brushstrokes of black and gray and orange, followed by the many heroes who "sprang into action," including the John J. Harvey. With this inspiring book, Kalman (Next Stop Grand Central) sensitively handles a difficult subject in an age-appropriate manner. This is the inspiring true story of the John J. Harvey-a retired New York City fireboat reinstated on September 11, 2001. Originally launched in 1931, the Harvey was the most powerful fireboat of her time. After the September 11 attacks, with fire hydrants at Ground Zero inoperable and the Hudson River's water supply critical to fighting the blaze, the fire department called on the Harvey for help. There were adjustments-forcing water into hoses by jamming soda bottles and wood into nozzles with a sledgehammer-and then the fireboat's volunteer crew pumped much-needed water to the disaster site. The John J. Harvey proved she was still one of New York's Bravest! By Mary Pope Osborne In the 1840s, there was a real volunteer firefighter named Mose Humphreys whose bravery was renown throughout New York City. Mary Pope Osborne has honed down the legends about him to a brief, dramatic, sometimes comical, but ultimately moving text of picture book length. Steve Johnson and Lou Fancher�s stunning paintings capture this 8-foot-tall superhero rushing into burning buildings, saving babies and bankers, and wolfing down the feasts bestowed upon him by the grateful citizens of old New York�until the one big hotel fire after which he was never seen again. The author has included a historical note about the origins of this tall tale, and the book is dedicated to the 343 New York City firefighters who gave their lives to save others on September 11, 2001. Past and present combine to stirring effect in this tall tale with real-world reverberations. Dedicated "To the memory of the 343 New York City firefighters who gave their lives to save others on September 11, 2001," Osborne's (the Magic Tree House series) story, set against 19th-century New York City, draws on the legend of real-life firefighter Mose Humphrey. In a subtle parallel to last fall's catastrophe, the author notes that eight-feet-tall Mose, with "hands as big as Virginia hams," runs toward danger as others run away. Johnson and Fancher (Copp�lia) portray the man's powerful figure from street level, to emphasize his height and heft as he rushes to a burning building or lifts a horse-drawn trolley that bars the hero's way. After Mose courageously makes repeated trips into a burning hotel to rescue all of the guests, his co-workers realize that Mose is nowhere to be found. This vague sense of loss and lack of resolution will hit home for many youngsters; the artists evoke a solemn mood with ash-covered cobblestone streets and the long faces of fellow firefighters. But the words of an old-timer help them carry on their noble mission in the hero's memory: "Whenever we climb our ladders toward a blazing sky, he climbs with us." Author and artist carefully and respectfully balance the tall-tale ingredients with actual events to craft a loving tribute one that may well help youngsters cope with the loss of these brave leaders. In response to September 11th, Osborne returned to her story of the legendary 19th-century New York City volunteer firefighter Mose Humphreys (American Tall Tales, 1991) and refashioned it into a stirring picture-book tribute to the 343 firefighters who died on that terrible day. Mose is larger than life and has no fear: "When others ran away from danger, Mose ran toward it." Is a trolley blocking their path? Mose lifts it out of the way. Is a baby in danger in a burning tenement? Mose rescues him. All over town, in factories and tenements and mansions, Mose fights fires until the night a hotel burns to the ground and in the morning, he's missing, never to be seen again. Then the rumors begin about supposed sightings. Wishful thinking, but in fact, he's still with the department as they march in parades and climb ladders because he's "the very spirit of New York City." The large, textured oil paintings are full of vitality and depict an old New York with cobblestones, ragmen, sailing ships, and horse-drawn wagons. The red of Mose's flannel shirt fills the oversized pages providing a comforting focal point. Not merely a title about one day of terror, Osborne's brief but well-fashioned text stirs the spirit to celebrate a quiet and caring bravery. Redesigned and in a brand-new trim size, Firemouse is the perfect picture book for even the youngest fire-fighting fans. When Mack the mouse moves into his local New York fire station, it's just a matter of time until he and the brigade of mice put their skills -- and bravery -- to the test. Hop on board the Lady Washington fire engine and join the legendary fireman Mose as he rushes from one outrageous exploit to another. Michael Keaton adopts a broad New York accent and Steely Dan cofounder Walter Becker and jazzist John Beasley deliver an early Duke Ellingtonesque score to help recreate the 19th century setting. Full color. Listening to the story of brawny, brave Mose, the legendary fireman from New York City, is a a treat. Michael Keaton narrates this story of another Gotham City savior. He gives Mose a broad New York accent and enlivens the tale with contemporary slang despite the story's nineteenth-century setting. Mose is a Bunyanesque figure and will be a favorite of young listeners who love those fire trucks! The jazz score by former Steely Dan founder Walter Becker is a great addition. Either part of the set, book or cassette, can stand alone. The true story of a mother cat that becomes a celebrity when it rescues its kittens from a burning building in New York in 1996. A building is on fire, and the firemen can't believe their eyes. A cat is running in and out of the building. What is she doing? She's carrying a pile of kittens to safety! Wonderful, bright illustrations between the text add to the drama of this early reader. A heartwarming tale in a format for young readers, this book tells how one cat became a very big hero. Real-life heroes are few and far between. But as we have learned, firefighters can top that list. Kids have long been fascinated with those mysterious figures in black, rushing to save lives and quench fires. This informative book shows young readers the daily lives and many jobs of these courageous folk. From training to teamwork, kids will learn what it takes to be a firefighter. Full-color photos, mostly featuring members of the New York Fire Department, accompany the clear text. Firefighting is a full-time job, as is shown in the photos of the firemen grocery shopping together and hanging out at the firehouse. Compiled By Ladder Company Fire Engine Company 24 Children's letters and artwork sent from across America to Engine 24 Ladder 5 FDNY after 9/11. A stunning 64-page tribute with colorful drawings and letters from a nation's children to Manhattan firefighters. Essays and reflection by leaders from both New York and the nation. Proceeds go to the youngest victims of September 11 through The Children's Aid Society. Many of the books out there for children in this category are adult books about grieving forced into a juvenile book format. This is something different. This is a book that is written by children. It reflects all the love, affirmation and hope through a child's eye. This particular firehouse was one of the first on the scene and lost 11 of its members on 9/11. Children from across the country sent words and pictures of hope and love to these grieving firefighters and their families. After 9/11, an ad agency in the neighborhood offered to help the firefighters any way they could. Together with the firemen, they gathered these images and letters and contacted Welcome about putting together a book. At 8:47 am on September 11th, 2001, the first alarm sounded and twenty-four firemen from Engine 24 Ladder 5 left the station. Eleven never returned. The weight of the tragedy seemed unfathomable. And yet it was being experienced at firehouses all over New York City. Within hours, Mayor Giuliani set up a makeshift headquarters at Engine 24 Ladder 5, just blocks from where the tragedy began. The station was quickly becoming a pivotal symbol for what the entire city was going through. In the days, weeks and months that followed, hundreds of letters from children across the country poured into Engine 24 Ladder 5. They expressed their love, appreciation and support. They reflect what many of us are feeling; A shared loss, a shared grief, a shared resilience and pride in New York and in our country. It is a sentiment so strong that these children felt the need to reach out to people they had never met. The children of America sent the letters here to Engine 24 Ladder 5 - but they were meant for all New York City firefighters. In the midst of grief, pain and confusion, their innocence, love and hope supply much-needed inspiration and offer tribute to a group of true American heroes. The Fire Department of New York City is one of the most capable, best-trained and best-equipped fire fighting forces in the nation. And now, the Voice Tech(tm) Rescue Firetruck has been added to the force. Fully equipped with realistic sound effects, flashing lights and more, it has special capabilities for interacting with Voice Tech(tm) figures that make daring rescues even more thrilling! The Fire Department of New York City is one of the most capable, best-trained, and best-equipped fire fighting forces in the nation. And one of their newest members is Manny Hattan(tm). With his extendable hose backpack, he gets to the fires other firefighters just can't reach. Each FDNY Manny Hattan sold benefits the New York City Fire Department's Fire Safety Education Fund. FDNY Matt Medic helps to recognize the real-life Rescue Heroes who do their job with pride. Matt Medic comes with rescue pliers. The Fire Department of New York City is one of the most capable, best-trained, and best-equipped fire fighting forces in the nation. And one of their newest members is Wendy Waters(tm). Her giant "water" cannon shoots out a giant jet stream to douse dangerous fires. Each FDNY Wendy Waters sold benefits the New York City Fire Department's Fire Safety Education Fund. FDNY Billy Blazes helped to recognize the real-life Rescue Heroes who do their hob with pride. Billy Blazes comes with an ax. Continuing the Rescue Heroes FDNY Expansion, Voice Tech Billy Blazes will be added to the FDNY team, compete with the usual voice technology, new virtual missions, and FDNY looks. Bringing FDNY looks to a refreshed Smokey the Dalmation. The perfect companion for FDNY Rescue Heroes Team. Where there's smoke, there's fire, and there's also the Playmobil Ladder Unit 52, on the scene with its 29-inch extendable, swiveling ladder and trained firefighters. Always first to arrive, they survey the situation and get down to business. The rescue basket, swiveling stretcher, working winch and loading bay make this job easy. Once the hose is secured to the hydrant, they can douse the fire. Flashing light requires 2 batteries. This gift pack also includes a very special FDNY fully-equipped firefighter! With his extinguisher, helmet and protective gloves - he's ready to rescue those in need. Official Limited Edition FDNY licensed firefighting outfit and accessories. Officially licensed by the Fire Department of the City of New York. Authentic and highly detailed model features extendible ladder, opening accessory cabinets, working emergency lights and 4 different siren sounds. FDNY Bobble Constructed of a sturdy polyresin the armed forces bobbleheads make a great addition to any bobblehead collection. Big Frank the firefighter, Officer Dave the policeman, Dan the construction worker, Captain Steve the helicopter pilot, and Joe the EMT-these are just some of the people a little boy pretends to be, using common household objects (and his little sister) as props. When he's fighting fires, serving and protecting, and rescuing people at sea, he's too busy to show Mom any affection. Still, she keeps reminding him that even these tough guys hug their moms. Eventually, even happily, the boy gives in. This lively picture book celebrates imaginative play and family togetherness as it pays a subtle tribute to today's heroes. Released in time for "Fire Prevention Week" in October, Emily Elizabeth and Clifford pay a visit to Clifford's brother Nero, a fire rescue dog. While learning about fire safety, Clifford unexpectedly helps out on a fire and rescues people from a burning building. Full color illustrations. Children fascinated by fire fighters will find plenty to please them in this large-format picture book, in part, because Demarest knows the subject firsthand: he's a member of a volunteer fire department. As the title suggests, the text is arranged alphabetically, beginning with "A is for Alarm that rings loud and clear. / B is for Boots stowed in our bunker gear." 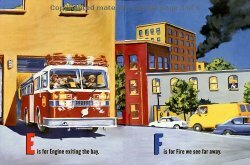 Though the rhyming verse is less satisfying than the dramatic artwork, the simplicity of the text makes this picture book accessible to kids young enough to be excited about fire engines. The large-scale, deeply colored pictures, ablaze with yellows and orange-reds, show broad scenes, such as two firefighters knocking down a wall and closer views, such as a firefighter's hand using a "kool-tool" to open a door. In three appended pages of notes, he discusses fire fighting and explains some aspects of the text. A colorful, dramatic introduction that future firefighters will adore. Along with cowboy and princess, firefighter is one of the things that young children want to be when they grow up but tend to forget about once they "mature." There's nothing babyish or cute about the robust, action-oriented pastel artwork in Firefighters A to Z, an exciting alphabet book detailing what happens from the time the alarm sounds at the fire station to the final "zip into bed for a rest" once the blaze has been extinguished. Even the Dalmatian-"a firehouse must"-has a no-nonsense look in its eye. Permeated with intense primary colors, the images build on one another to convey the physical nature of this dramatic but serious job. The firefighters themselves, in their bulky yellow suits and oxygen masks, appear straight out of science fiction, but the smoothly rhyming text grounds their activities in reality as they battle to get a house fire under control. Always readers are made aware of the dangers the firefighters face, whether they are shown crouching at the bottom of a smoke-obscured stairway in "I is for inside. Start the primary search" or standing astride a smoldering opening in the floor with a "P is for Pickax to make the holes wide." In the author's note, Demarest reveals that he is a volunteer firefighter, which adds to the book's authentic feel. He goes on to give a little more background on the terms he depicted in the main text, letting kids know that there's a lot more to being a firefighter than simply donning a red helmet and sliding down a pole. Firefighters and dogs are both popular with kids, and in this case the firefighters are dogs. This day-in-the-life features dalmatians as the firefighters who slide down poles, ride trucks, turn on hoses, and, of course, put out fires. This really isn't cutsy. The artwork, featuring solid shapes and bright colors set against clean, white backgrounds, is on target for the preschool set. The dogs are a delightful addition, making what could be some very scary moments much more tolerable. A good nonfiction choice for story hours. They're the fire fighters, speeding to the scene of a fire. In their truck they answer the call. But will they make it in time? And what happens when their work is through? Fire Fighters takes readers from the fire station to a house gone up in flames and back to the station again. Trusty dalmatians help youngsters understand the seriousness of fighting a fire. Rrrring! the alarm sounds. It's time to put out a fire! This three-dimensional book follows a day in the life of firefighters as they race to the rescue. Complete with pop-ups, movable parts, and flaps, this is an exciting introduction to the field for young firefighters. This classic Richard Scarry book will delight all of his fans in this collectible hardcover edition. Join Lowly Worm and your other favorite Scarry characters in this Little Golden Storybook that is a must for any child's library. An entertaining account of Busytown's four firefighters. The firefighting pigs save the town from the dangers of fire (and in some cases from themselves). Filled with Scary's action-packed, humorous drawings. A very fun book. Firefighter Fluffy is ready to put out fires and drive a big, noisy fire engines until he rides in a real one. Suddenly, he's not so sure he likes so much noise and so much heat. "How can a guinea pig fight fires?" he asks himself. Luck for him, Ms. Day's class finds the perfect way to make Fluffy a fire-prevention hero! Fluffy, the classroom guinea pig, awakes from a nap to discover that Martians have landed. They wear long coats, high rubber boots, thick gloves, helmets with lights, tanks on their backs, masks on their faces and they carry axes. It's enough to send even the bravest guinea pig diving for the safety of his food dish. Assured by the class that the Martians are actually firefighters, Fluffy sits in the cab of the fire engine. A sudden emergency thrusts Fluffy into the position of observing the arduous teamwork necessary to put out a fire. He realizes that even though he could never be a firefighter himself, he can still dream. This "Hello Reader! Level Three" very cleverly introduces children to the essentials of fire safety. The well-paced action in three short chapters will hold students' interest. Some of the vocabulary will challenge but not overwhelm the reader, encouraging the use of phonics. Suggestions for parents at the beginning of the book will ensure a pleasant, fruitful reading experience. A simple text and appealing watercolor illustrations make fire fighters real and interesting to young readers. Bourgeois describes a fire at an apartment building from the first signs of smoke to the mop-up job at the end. She also discusses life in the fire station and how fires are fought in forests, in the countryside, and on water. There is no glossary but the vocabulary is easily understood through the context and the pictures. Clearly stated safety tips make the book valuable for fire-safety units. Although many titles about this topic are available, the lively writing and appealing illustrations make this one a worthwhile addition. The objective of this emergent reader series is to welcome new readers and in particular to provide factual information in an interesting format. The "Hard Work" series introduces children to people they will encounter in the community. In this entry, kids get a brief glimpse into the life of a group of firefighters. There is an alarm, they do respond and they put out the building fire. Fullpage, fullcolor dramatic photographs appear on the right hand page with a simple two or three sentence teXt on the left. Young readers will learn about a few aspects of the job and firefighter's equipment. Bolded words are defined in a section entitled "New Words," and it should be noted that the definitions are specific to the teXt, alternate definitions are not presented. There is a page that lists books and web sites to help kids find out more (note that no dates are given for the books cited). There is an indeX and a brief mention of the author and the consultants on the final page, and there is an opening table of contents page. (Board Book) Nee-nah, nee-nah! Maisy and Cyril are driving a fire engine today. First they have to check the water in the hose. Swoosh! Uh-oh! Look out, little cat! Now the cat is scared and climbs up on the roof and won't come down. But firefighters Maisy and Cyril come to the rescue -- and then they're off for a ride in their shiny red truck! By Leslie McGuire Illustrated in full color. Ride along with Big Frank and the rest of the crew as they race to the scene of an accident, inspect the local KwikShop, demonstrate fire safety at Niceview Elementary School, and battle a raging brush fire! In between calls, hang out at the firehouse with Big Frank and the gang. It's all in a day's--and night's--work for our firefighting friends. If I Could Drive a Fire Truck! By Michael S. Teitelbaum Gemma loves to play with her favorite toy fire truck while riding in the car to visit Grandma. But when she wonders, "What if I could drive a fire truck?" her imagination takes off, and exciting things happen! This shaped 8x8 storybook shows children how fire trucks help brave firefighters do their jobs. By Wendy Cheyette Lewison Here's the perfect book for any child who has ever wanted to sit behind the wheel of a fire truck, try on a firefighter's helmet, or see what happens when a fire alarm sounds. Action photos bring the firehouse to life, capturing the daily routine of these popular heroes. A group of six children go on a class visit to their local firehouse. Colorful and clear photographs show the firemen allowing the children to pet the firehouse Dalmatian, hose off the fire truck, try on helmets, sit at the truck's steering wheel, and snack in the kitchen. A series of photos accompany a simple description of how the crucial dispatch office works, culminating in the fire bell's ring. There are two pages of bright pictures to describe the different kinds of fire trucks, and more pages of the children as they climb all over the trucks, exploring and pretending. The text of this picture book uses easy-to-read vocabulary with technical terms where appropriate. (Book & Squeaky Truck Toy) Squeeze-and-squeak fun is rolling your way! Peek under the hood to find a book of facts . . . then lift up the back for a rhyming adventure story that kids participate in by squeezing the truck to hear it honk. With two books in one, Squeaky Trucks are sure to rev up any child's imagination. Frankie the Fire Engine is filled with surprises for the littlest truck lovers -- including Dalmatian puppies to lend a hand! He's a simple fact book and a storybook in one! Kids will love to press Frankie to hear his little siren as they read this charming story. Audio Cassette and Audio CD Also Available Tall tales are that captivating genre of literature in which geography, forces of nature, and strong characters converge. The likes of Stormalong, the three-fathoms-tall sailor; Mose, the tireless New York firefighter; and Sally Ann Thunder Ann Whirlwind, master tamer of rattlesnakes and men, simultaneously entertain and explain the shaping of the American psyche. In this fine recording, Osborne has selected American greats and, from each body of adventure, timeless episodes. With his talent for regional accents, Scott Snively takes the listener directly to that part of the United States and creates vivid characters. The listener is on the Great Plains as Swedish farmer Febold Feboldson lures settlers with his schemes to tame Mother Nature. In Maine the listener feels Paul Bunyan's sadness each time civilization forces him to a new wilderness. Interludes of period harmonica music complete this delightful listening package. By Geoffrey Giglierano Since the earliest years of city history, New York's firefighters have put their lives on the line to protect its citizens from fire. Written by two experts on Fire Department history, this book documents the evolution of city firefighting from the earliest bucket brigades through the arrival of the Superpumper fire trucks and the latest advances in protective gear. Along the way, it documents the organizational improvements and political changes that have made city firefighting significantly more effective. This book also tells the tale of the greatest fires that threatened New York, including the Great Fire of 1835 and the 1911 Triangle Shirtwaist Fire. The story is illustrated throughout by full-color photographs of fire equipment, memorabilia and notable fires, all taken from the remarkable collection of the FDNY Museum. The book culminates with the World Trade Center disaster of September 11, 2001, a day when hundreds of New York's Bravest tragically lost their lives. 70 illustrations, 2 maps. By Alison Turnbull Kelley When terrorists struck the Twin Towers and other locations on September 11, 2001, firefighters were the first among the brave souls who arrived to help the victims. Of all the heroes brought to light on that terrible day, firefighters were among the bravest. Learn more about their heroic efforts at Ground Zero, and the history of this proud profession. By Hal Marcovitz A New York police officer was one of the first to report the tragic events of September 11, 2001. Rushing to the scene, officers were instrumental in saving thousands of lives, while sadly losing members of their own ranks. Law enforcement officials also played key roles in determining that the events were, in fact, terrorist attacks by Al-Qaeda, a terrorist network headed by Osama bin Laden. Learn more about the heroic efforts of law enforcement on September 11th and throughout our country�s history. By Nancy Louis The tragedy on September 11, 2001, has become a difficult but necessary topic of discussion in schools all across North America. The attack on America is among the most memorable and tragic in modern history. This is one title in a 12-book series that covers the full range of topics and issues needed for meaningful discussion, clear understanding, and hope for the future. It provides accurage, age-appropriate information, puts events in proper perspective, and offers reassurance that democracies are doing what is necessary to make the world safe. Heroes of the Day discusses emergency telephone operators, police officers, firefighters, trained dogs, those who fought the hijackers on Flight 93, and individual citizens who helped in the aftermath of the terrorist attacks on the World Trade Center and Pentagon on September 11, 2001. There are hundreds of stories about heroic actions on September 11th and Nancy Louis tells some of those stories in "Heroes of the Day," a volume in the War on Terrorism series. Probably you have heard of some of these stories, such as the ones about Mark Bingham, Tom Burnett, Todd Beamer and the passengers on Flight 93 who fought back against the terrorists on the fourth plane, but certainly some of these will be new you. 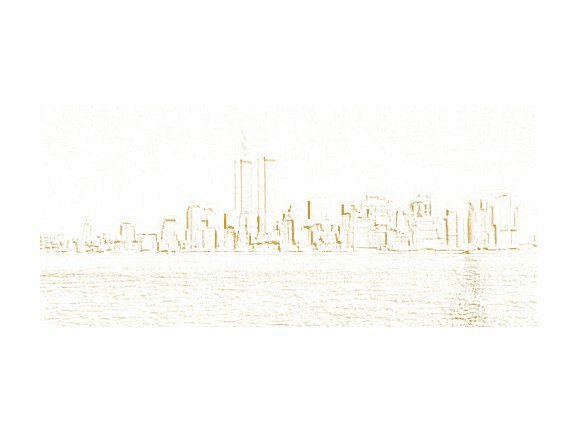 Louis starts by establishing the All-Out Emergency of September 11th and devotes chapters to the New York Police Department, the Firefighters, Rescue Squads and Emergency Personnel, and people in the World Trade Center towers who helped others get out. Other chapters are devoted to the efforts of rescue dogs, what happened at the Pentagon, and those who fought back on Flight 93. The final chapter talks about honoring the heroes and explains about the Defense of Freedom medal that was created in the wake of the terrorist attack. Because this is a relatively small book, 48-pages long, illustrated with dozens of color photographs, it can only scratch the surface of what happened that day and give young readers but a small sampling of the stories that could be told. Certainly there was enough material on this topic for more than one book. By Arlene Schulman Given unlimited access to the life and work of a New York City cop, Arlene Schulman takes us along on Steven Mayfield's beat. From a tense standoff with an angry crowd to the monotony of patrolling on a quiet night to the citywide emergencies like the attack on the World Trade Center, the rhythms of this police officer's work are captured in vivid prose and intimate black-and-white photography. We meet the residents of Officer Mayfield's beat, those who welcome his protection and those who hate the sight of a cop. We see the TV-type moments and also the patient listening, watchfulness, and paperwork that are the unglamorous side of policing. And most clearly, we see a police officer's essential role in the survival of a community.